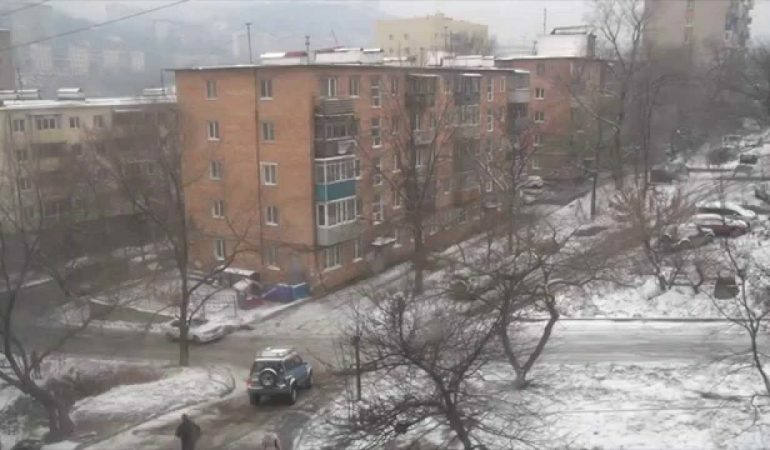 One resident from Vladivostok two hours filming from his window how drivers spinning on a very awkward crossroads. Every driver who passed here lost control of the vehicle. In any case, this kind of scenes is not unusual because Vladivostok is known for low temperatures.